This page lists all reports that for Slovenia including those that involve other countries too. Click here for a list of reports that involve only Slovenia. I always dreamed of bicycling through Europe and climbing as many of the famous climbs of the Tour de France and Giro Italia as possible. My tour ended up being for almost 10 weeks, 3020 miles/4860 kilometers, and I pedaled through 10 countries. I loved the entire tour but 2 aspects stand out: 1)France stands out for my favorite cycling, for the amazing secondary road system and because I got to climb, the Tourmalet, Aubisque, Peyresourde, Aspin, Mont Ventoux, Alpe D'Huez, Lauteret; and 2) I visited the home villages of three of my grandparents in Slovenia and Croatia. Crossing Italy I opted for the Italian Riviera and Tuscany, but later wished I had pedaled across the Lakes Region and the Dolomites. And because of factors out of my control I had to cut my trip short so I skipped my plans of zig zagging across Switzerland. Enjoy my journal and the pictures. This trans alp cycling trip is our 5th in Europe and it is not too much different from the others except being twice as long.We are an older couple who doesn't mind a little bit of hard mountain touring with all of our gear and being sort of self sufficient as this is what we do when on long trips in Canada, canoeing, backpacking, cycle touring, when there are few facilities. All of our stays were in campsites except at the end and 98% of our meals were prepared or cooked. We usually do not rely on buses or trains and except for 150km, we carried all our gear.This was a 3800KM, 36,000m, 60 day trip that was even more spectacular than our other journeys. The Alps are so grand and the infrastructure so good that cycle touring around and over the mountains is a lot of fun. Hope that readers can get a lot of good information from this trip report as we have received so much advice from the Trento Bike Pages in the past. I´m biking all the Mediterranean countries over a period of nine months. I spend about one month in each country. I have used the train or bus to help move the show down the road. I´m currently in Albania. I´m mostly camping, though hostels and hotels are always great too. Il pensiero finale è per Asif. Ho ricevuto grande stima da questa persona e affetto da tutta la sua famiglia, senza fare altro che essere superiore ai luoghi comuni e ai pregiudizi di molti. Faleminderit. The final thought is for Asif. I received great respect and affection for this person by his whole family, not help but be more than clichés and prejudices of many. Faleminderit. Si dice che il mondo sia piccolo, figuriamoci Sarajevo: sto per ripartire quando sulla bici trovo un biglietto degli amici cuneesi: tra i molti alberghi della città abbiamo soggiornato nello stesso, senza avere la fortuna di rivederci. People said that the world is small, let alone Sarajevo: I am starting when on the bike when I find a ticket of my friendsfrom Cuneo: among the many city hotels we have stayed in the same, without having the chance to meet again each other. This is a round trip to Slovenia and part of Croatia. It starts from Trieste, in Italy, to go up north in Slovenia, following up the Soca River, and after Bovec to climb the Vrisic Mountain pass of 1611 m. Then all down to Bled and Lubjliana. Then to Novo Mesto and direct to Croatia (Zagreb). Then to Karlovac, with still many signs of the former 90's war, and return to Slovenia, through very quiet secondary roads, sometimes not paved. Postojna with the caves and finally return to Trieste. Steepy trip in the second stage, but the rest not very difficult. Traffic very pacific in Slovenia with many bike paths in Lubjliana. In Croatia traffic is busy and crazy. I have cycled in Slovenia and the Dolomites before and on both occasions due to poor weather and a lack of fitness did not ride a route I had previously planned. 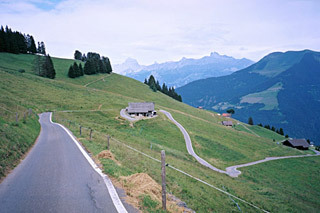 I decided to return to tackle two climbs - the Grossglockner in Austria and the Vrsic in Slovenia. It was well worth it. Here you will find details of the route, together with information on the hotels and restaurants I used. Learning the lessons, it could be turned from a very good to great tour.
" The show must go on", non ho alternative, riparto. 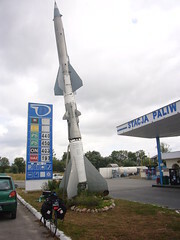 Gli spazi si dilatano e anche qui, come in Polonia tra un paese e l'altro ci sono 10-15 chilometri di nulla, prati incolti, strette mulattiere sterrate che si diramano verso il nulla, rare mucche al pascolo e camioncini catapultati dalla macchina del tempo. Un chiosco di legno, in centro città è l'unica opportunità che ho per comprare qualcosa da mangiare, In pochi metri quadrati sono esposti i più disparati generi alimentari e non. Sembra il codice fiscale di un supermercato. Esco e trovo quattro bambini attratti dalla mia bici. Some of the climbs on this 3300 km tour of the Alps included: Kitzbüheler horn (1996m), Sella di (Monte) Zoncolan (1739m) from Priola, Passo del Cason di Lanza (1557m) (from east), Portes de Culet (1787m) from Morgins, Bäregg (2451m), Lago del Narèt (2313m), Sewenegg (1742m), Pertet à Bovets (1840m), Euschelspass (1567m), Edelweißspitze (2572m), Loiblpass/Ljubelj (old road) (1368m), Telegrafo/Punta Veleno (1156m) and walking up through the woods to Chalets du Charmant Som (1669m). Il mare, la mia insegnante di inglese ed Auschwitz. Tre cose che apparentemente non hanno nulla in comune, ma che in realtà sono le basi che hanno fatto nascere questo ciclo-viaggio. Un viaggio dall' Adriatico al Baltico, la visita ad Oswiecim ( nome polacco di Auschwitz) e un salto a Riga, città natale della mia insegnante di inglese. Cartine alla mano, è stato sufficiente tirate una traccia (o meglio una Riga) aggiungere qualche deviazione turistica ed ecco preparato un viaggio. Starting at the Wurzenpass, were we suffered the very steep climb, crossing boarder to Slovenia near Kranska Gora. Not knowing that we end up in a rather long climb again, we rod South, doing the Vrsic Mountain road. On the other side, the beautiful Soca river valley (Slovenian name of the river Isonzo). We have crossed back to Italy at the Selva Nevea pass. This tour covered cities like Udine, Grado, Triest, Ljubljana, whereas we went home by train. Good luck to all the followers! A short summery of my bicycle tours done in the past in Italy, Austria, Romania,Hungary,Slovakia,Poland,Ukraine. There are a lot of tour suggestions including Georgian Millitary High Road,where I am looking for cycling mates. My web site is getting richer in every two-three months by adding new tours. Starting in Switzerland, biking across the Alps in eastern direction through the Dolomites of Italy to Ljubljana, capital of Slovenia; cruise around Mt.Triglav National Park, and finally mastering Austria's Southern Alps on the way back to Switzerland. Strong presence of snow and as a consequence the closure of some mountain passes caused many spontaneous changes of the route. 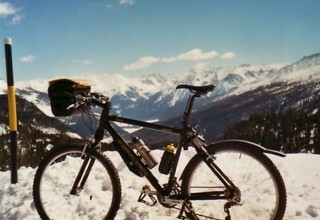 A ride mostly from Albania to Austria which included too much snow. Cyling Passes and Summits in the alps: Here is a cross section of (sofar) 35 passes and unnamed summits - from the famous to relatively unfamiliar (ie from Timmelsjoch to Passo Cason di Lanza) - from a day long workout to pleasant afternoon climbs (ie from crossing Vrsic Pass to a nice hill outside of Vrsno) - from road to MTB rides (like the ride to the Karwendelhaus or Tiliacher Joch). All are represented with pictures, maps, approach elevation data -also many route descriptions, ride statistics and personal opinion. Content wil grow. One friend mired in med school, the other about to begin the rest of his life. Both wanted to go on an adventure. Both wanted to bike. Many arguments later, The Greatest Schlep was born. Keep track of us as we schlep from Prague to Athens. 25,000 children die each day mainly from preventable causes. These children are not dying from incurable diseases or causes. These children are dying from diarrhea, pneumonia, measles and malaria - things that cost pennies to treat or prevent. My aim is to raise £25,000 by riding 4,000 kilometres from London to Athens with an average of 25,000 spins of my legs per day. Starting in Switzerland and crossing the Alps in eastern direction through the Dolomites of Italy to Ljubljana, capital of Slovenia; cruise around Mt.Triglav National Park, and finally mastering Austria's southern Alps on the way back to Switzerland. Albania, Bosnia Herzegovina, Croazia, Montenegro, Kosovo, Slovenia: un itinerario da non interpretarsi come una discesa negli ``abissi balcanici'', una sorta di ``Cuore di tenebra'' alla Conrad, ma un viaggio esplorativo in una regione che merita di essere vista con lenti diverse da quelle massmediatiche. Andateci e non ne rimarrete delusi! Cycling from Germany to Istanbul via Austria and the Balkan - and back via Greece, Italy and Switzerland in August and September 2007. Including tour diary in German, statistics, loads of pics and Google Maps. A new cycle journey. I want to cycle from Vienna to Nice, a complete crossing of the Alps from east to west. Then I have to cycle a bit further to Avignon. The idea is to zigzag as much as possible to fit in as much exciting backroads and extraordinary landscapes as possible. Jeroen van Meijgaarden will join me the first two weeks. Then I will be on my own to complete the crossing of the Alps. Il ciclismo è sofferenza. Il premio è la cima di una montagna o una città a 2000km da casa. Se questo premio vi sembra adeguato allora la domanda ``ma chi te lo fa fare ?'' ha già una risposta. Se non vi sembra abbastanza, semplicemente non potete capire chi pedala. Cycling is suffering. The prize is the top of a mountain or a city 2000km far from home. If this prize seems you enough, then the question ``why do you do that ?'' already has an answer. If you don't find it enough, you just cannot understand cyclists. At about 2000 m there is a turn off to a guesthouse from where I had a sight of the last 20 turns - like a rope twisted on a steep mountain wall with the top disappearing in snow mist.